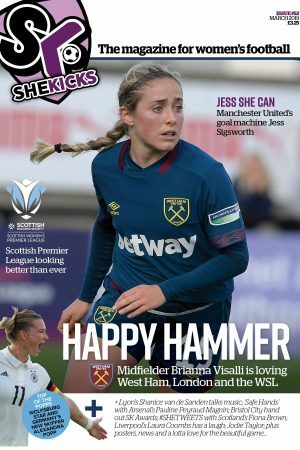 She Kicks the magazine for girls’ and women’s football is now available in digital format. View She Kicks digital magazine in your web browser anytime you are online or download it to your phone or tablet. You can subscribe for only £6. You will receive a link in your order confirmation giving immediate to the current issue #53 (Apr 2019). YOU WILL BE EMAILED THE LINK TO THE FUTURE ISSUES COVERED BY YOUR SUBSCRIPTION AS SOON AS THESE BECOME AVAILABLE. 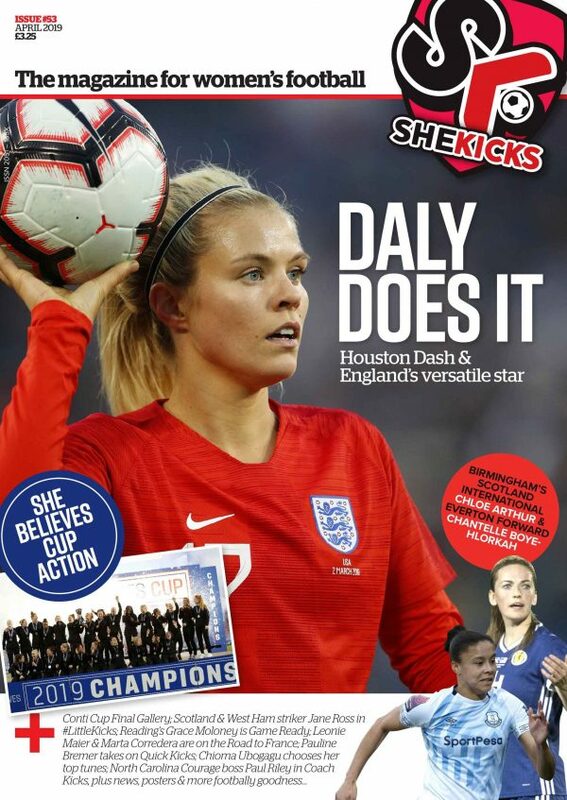 (Of course She Kicks will still be available to buy in printed form as single issues or on subscription, should you prefer: please click HERE for details). Subscriptions to the printed version are only £22 including postage for UK delivery. We do deliver further a field. Additional postage charges apply for delivery outside of the UK of the printed version. Contact: shop@shekicks.net if you’re having any difficulty.